Zare, A., Hashmie, A. (2015). Oligocene stratigraphy of the Northern Subcoastal Fars Zone (Tang-e-Khoshk, Zagros structures, Iran): Biostratigraphy and Paleoenvironment. International Journal of Advanced Biological and Biomedical Research, 3(1), 129-137. Azam Zare; Afshin Hashmie. "Oligocene stratigraphy of the Northern Subcoastal Fars Zone (Tang-e-Khoshk, Zagros structures, Iran): Biostratigraphy and Paleoenvironment". International Journal of Advanced Biological and Biomedical Research, 3, 1, 2015, 129-137. Zare, A., Hashmie, A. (2015). 'Oligocene stratigraphy of the Northern Subcoastal Fars Zone (Tang-e-Khoshk, Zagros structures, Iran): Biostratigraphy and Paleoenvironment', International Journal of Advanced Biological and Biomedical Research, 3(1), pp. 129-137. Zare, A., Hashmie, A. Oligocene stratigraphy of the Northern Subcoastal Fars Zone (Tang-e-Khoshk, Zagros structures, Iran): Biostratigraphy and Paleoenvironment. 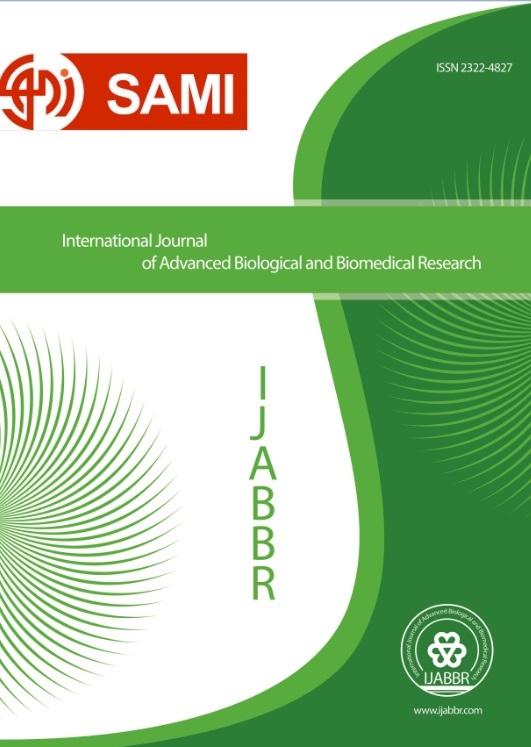 International Journal of Advanced Biological and Biomedical Research, 2015; 3(1): 129-137. Objective: The Asmari Formation is characterised by alternation thick carbonate and marl sequence of the Oligocene- Miocene in the Zagros Basin, southwest of Iran that were deposited on the shelf of Eastern Paratethys. Methods: This formation is exposed at Tang-e-Khoshk in the Fars subcoastal zone with a thickness of 286 m comprising alternation of medium and thick to massive bedded carbonates, marlylimestone and marl. The age of the Asmari Formation in the study area is the Oligocene (Ruplian&Chattian). Results: Ten microfacies are defined, characterizing a gradual shallowing upward trend; the related environments are as follows: open marine (MF1, 2&3), shoal (MF4) and lagoon (MF5, 6&7). A carbonate ramp platform is suggested for the depositional environment of the Asmari Formation. MF 1, 2, 3 &4 are characterized by the occurrence of large and small foraminifera representing a represent a deeper fair weather wave base of a middle ramp setting. MF 5, 6& 7 with large particles of different bioclast debis and algae, shallow-water setting of an inner ramp.